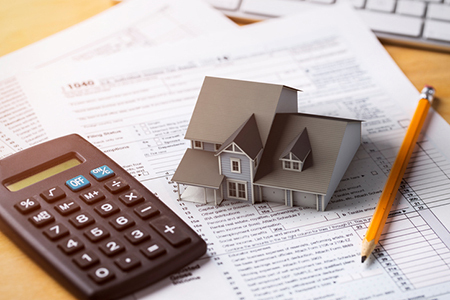 Just a few days shy from the 2018 tax deadline on April 17, and controversy surrounding the new tax law—the Tax Cuts and Jobs Act—is leaving multitudes of homeowners uncertain about whether they should claim their prepaid property tax deductions. The new law imposes a $10,000 cap on state and local tax write-offs (previously unlimited) for both single filers and married couples, leaving tax consultants and taxpayers searching for ways to make the most of the decreased cap before it takes effect in next year’s filing. Interpretation of the new law has been varied. The ruling clearly states that state and local income taxes are not eligible for prepayment. With no mention of property taxes, many homeowners rushed to prepay in December; however, on December 27, the IRS released a statement, clarifying that prepaid taxes are only deductible under certain circumstances—homeowners cannot deduct the prepayment for property taxes that have not been assessed prior to 2018. Not all tax experts agree, and several members of the Ways & Means Committee are petitioning the IRS for higher deductions of reasonable estimates, according to the Wall Street Journal. The issue has not been resolved across the board, but with a low audit risk due to limitations on IRS resources, some taxpayers are urging their tax preparers to claim the deduction without disclosing the write-off on the required IRS form (8275). “There is no reason to believe that Congress made a mistake in omitting property tax prepayments, and there was certainly no basis for the IRS to substitute its own policy judgements that departs from the act of Congress, especially when the consequence of the IRS’s determination may have cost taxpayers millions of dollars,” states the Ways & Means Committee letter.